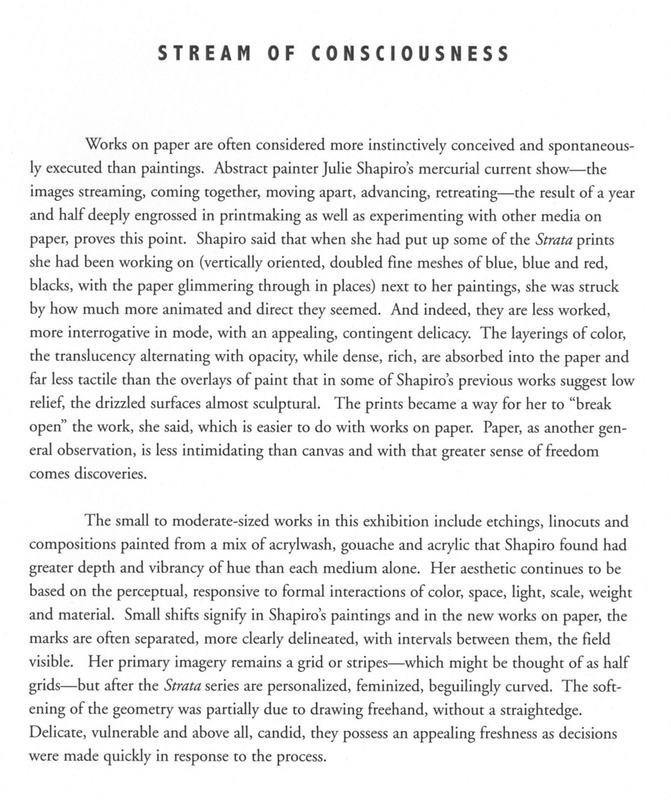 "There is an ebb and flow in Shapiro's paintings suggesting motion and the passage of time. They are linked to a deeply engaged sensory and aesthetic experience to the natural world, not only suggesting landscape, but also more importantly evoking it." Marshall N. Price is curator of Modern and Contemporary Art at the National Academy Museum. "Works on paper are often considered more instinctively conceived and spontaneously executed than paintings. Abstract painter Julie Shapiro's mercurial current show - the images streaming, coming together, moving apart, advancing, retreating - the result of a year and half deeply engrossed in printmaking as well as experimenting with other media on paper, proves this point." 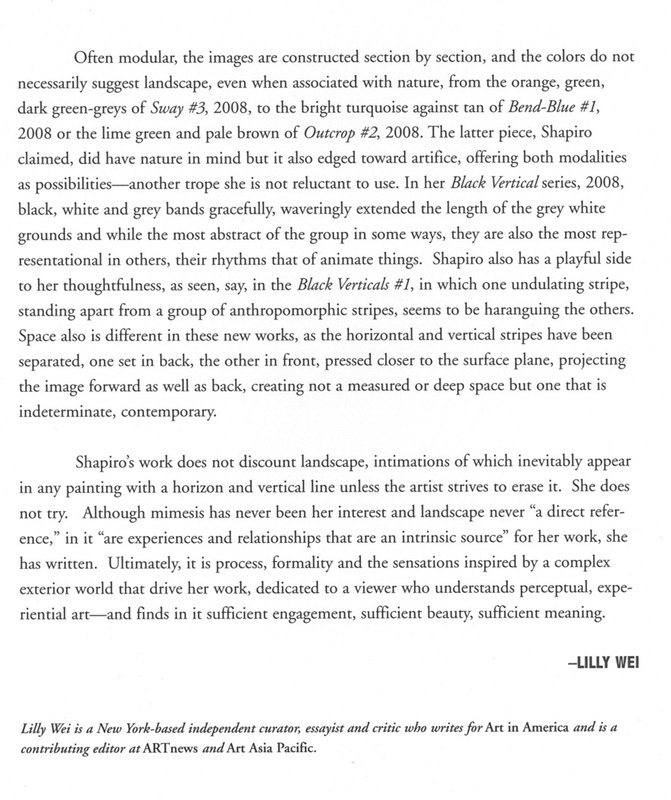 Lilly Wei is a New York-based independent curator, essayist and critic who writes for Art in America and is a contributing editor atARTnews andArt Asia Pacific.